Para español, procede hacia abajo en esta misma página. Established in 2011, the American Center for Outreach aims to bring the Muslim voice to the political stage with the objective of changing the local political debate. The American Center for Outreach (ACO) is a Tennessee-based non-partisan organization working to inform, educate and empower Muslims to become engaged in society by providing the assistance they need to become productive citizens. By doing so, ACO aims to better connect the Muslim community and government while supporting individuals in becoming a catalyst for positive change in their own neighborhoods and communities. El American Center for Outreach (ACO) es una organización con sede en Tennessee que trabaja para informar, educar y capacitar a los musulmanes para que se involucren en la sociedad, proporcionando la asistencia que necesitan para convertirse en ciudadanos con éxito en su nuevo país. Creative movement for children ages 3- to 5-years-old with Andrea Solis. 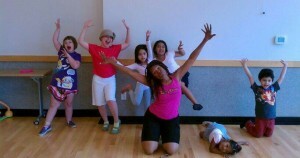 Zumbatomic for Kids with Tirra Hargrow.